Gov. Chris Sununu outlined his version of the state budget at the Statehouse Thursday, Feb. 9, 2017. Governor Chris Sununu laid out his 2-year budget proposal Thursday afternoon at the State House. The plan comes in at roughly $12 billion with increased spending for public kindergarten, state infrastructure and the opioid crisis. 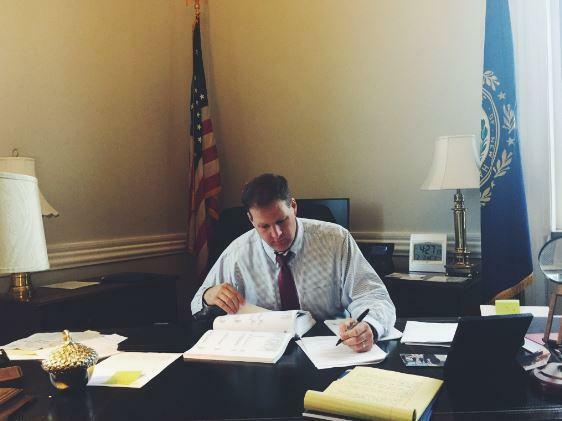 When Chris Sununu was sworn in as New Hampshire’s new Governor last month, his first task was crafting the state budget, a job no governor finds easy. But with Republican control of both legislative chambers and the corner office as well as a strong state economy – the task of reaching a final spending plan by June should be less arduous than usual. 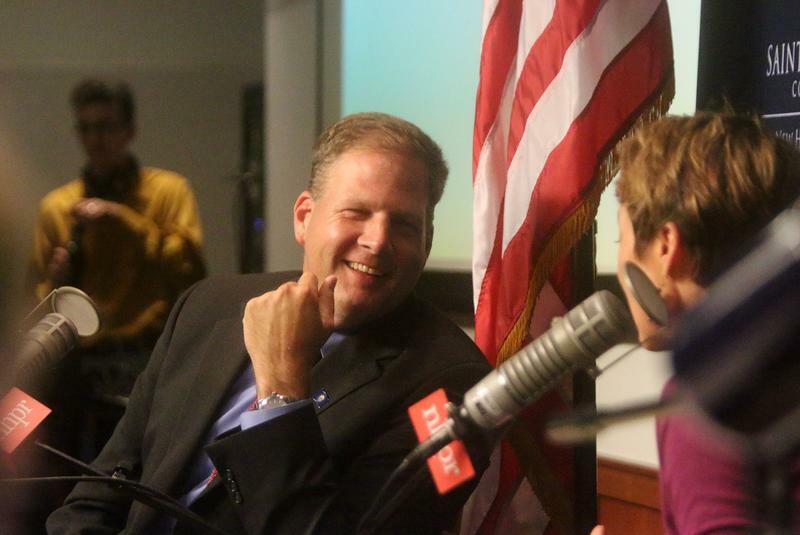 Sununu’s proposal is the first step in that process. Totaling more than 1,000 pages, it would yield a 3 percent increase in state spending and no new taxes or fees. Sununu claimed that these new dollars come from existing tax and other revenue sources, not one-time payments or accounting sleights of hand. “It may stand in stark contrast from actions of previous administrations but it is responsible, it is practical and it addresses our state’s true priorities,” Sununu said during his address. Click here to read an annotated version of the Governor's full speech. Those priorities included fixing staffing shortages at the state’s child protection agency, money to open the newly built women’s prison in Concord, and an increase for developmental disability services to the tune of $57 million. There’s also money set aside to help school districts pay for full-day kindergarten – specifically $18 million over the next biennium. The state currently pays districts half the cost of full-day kindergarten. Under Sununu’s proposal, low-income communities as well as ones with high numbers of English Language Learners will be eligible for additional state aid. “I’ve heard from many young parents all across this state that this is a priority of theirs in both considering the quality of a community’s public education and in their decision-making process when choosing a place to raise their children. So I am proud today to be the first Governor to deliver a real full-day kindergarten program for communities across the state," said Sununu followed by loud cheers. Click here to read-up on some of the issues likely to come up this budget cycle. Sununu also proposed increased spending for charter schools and a new scholarship program for in-state college students at the state university system based on both academic excellence and financial need. But funding levels for New Hampshire’s public higher education systems saw no increase in state support - something university officials said would force them to up tuition. "I am proud today to be the first Governor to deliver a real full-day kindergarten program for communities across the state," Sununu said followed by loud cheers. As promised, Sununu vowed to uphold cuts to the state’s business taxes, set to go into effect next year. He also proposed restructuring the state’s economic development department and creating a new small business advocate post. One issue that seemed to get bipartisan support was Sununu’s proposal on fixing the state’s roads and bridges. His Infrastructure Revitalization Fund would take money left over from last year’s budget and give it directly to towns for the repair of roads, bridges and school buildings. Scroll down below for an executive summary on the Governor's budget proposal. But other ideas received a cooler welcome. House Speaker Shawn Jasper was skeptical of Sununu’s plan for funding full day kindergarten. "He talked about developmental disabilities, well how are we going to do it? How are we going to do it?," Sen. Lou D'Allesandro asked of the $57 million proposed increase. Efforts to address the opioid crisis also saw more state aid under Sununu’s plan including salaries for 10 state troopers to help cut off the drug supply, a new recovery coordinator position within the Governor’s office and doubling the state’s so-called alcohol fund. But fully funding this fund, which is designed to put a small portion of the state’s liquor sales towards substance abuse prevention and treatment, would require an additional $6 million each year. Democratic Senator Lou D’Allesandro, who sits on the Senate Finance Committee, says these details matter. That question now rests with members of the House Finance Committee, which begins work on its own budget plan next week. No one has ever called crafting a state budget easy. There are thousands of decisions and myriad competing interests. And for a new governor, there is also the crunch of getting it all done and printed a mere six weeks after taking office. But if Gov. Chris Sununu is at all anxious about his final product, he isn’t showing it. Gov. 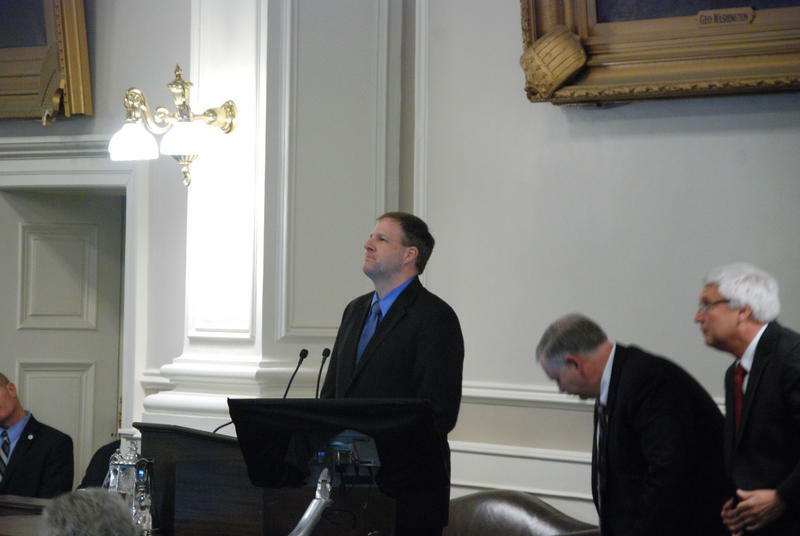 Chris Sununu delivered his budget address Thursday, outlining his priorities as the state Legislature kicks off its biannual budget writing cycle. NHPR's newsroom has been reporting on what to expect this budget season — you can find a rundown on that right here — and now, we're offering more context on the things Sununu mentioned in the budget address itself.